It was only a few weeks ago that top officials from OPEC nations were issuing statements assuring the market that the group’s production cuts would remain in effect through the end of 2018, with the possibility of even extending them into next year. But now, with the Vienna meeting just a few weeks away, OPEC is suddenly warming up to the idea of lifting the production limits. The oil market is tighter than it has been in years. OECD oil inventories fell back to the five-year average in March, and because that is the latest month for which data is available, it is safe to assume that inventories are already below that average level. Brent prices have topped $80 per barrel for the first time since 2014 and the outages in Venezuela, Angola, Nigeria and potentially Iran are sending jitters throughout the oil market. Saudi oil minister Khalid al-Falih had insisted that the higher prices were sentiment-driven, which is to say an exaggerated run up relative to the underlying fundamentals of supply and demand. On multiple occasions, he has repeated OPEC’s determination to keep the cuts in place and sent signals that OPEC and Russia would solidify a long-term arrangement to presumably manage the market. 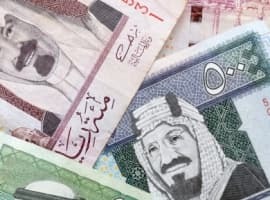 No doubt the motivation to continue to tighten the market is in large part stemming from the IPO of Saudi Aramco, a very bullish driver for the oil market because Saudi Arabia has seemed impervious to market concerns about over-tightening since they are aiming for higher prices for the public offering. Related: Is The U.S. Ethanol Industry Under Siege? Suddenly, however, the cracks in the group’s resolve are widening. 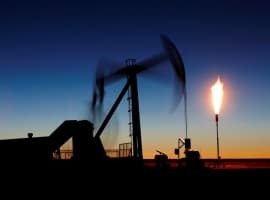 Saudi Arabia, Russia and the rest of OPEC “are likely this week to discuss a controlled relaxation of over-compliance with the Opec and non-Opec production-cut target,” according to Argus Media. A Gulf source familiar with Saudi thinking told Argus that a “relaxation” is a “big possibility” at the upcoming meeting in Vienna on June 22. To be clear, it would not amount to an “unwinding” or a “removal” or a “phase out” of the production limits. Such a proposal is reportedly not under consideration. Instead, OPEC has a more modest proposal in mind – simply bringing production levels back up to the stated ceiling. The discrepancy largely comes down to the catastrophic production losses in Venezuela. Output in the South American nation fell to just 1.43 million barrels per day in April, down nearly 700,000 bpd from 2016 levels. Crucially, Venezuela’s April production is 500,000 bpd below the level that it is allowed to produce (1.972 mb/d) as part of the OPEC agreement – and falling on an ongoing basis. Because of those declines, the compliance rate for OPEC on the whole shot up to 181 percent in April, according to Argus Media. For a while, Venezuela’s deterioration was a boon to the rest of OPEC, which allowed members to earn higher revenues than expected because of the oil price rally. But at this point, the oil market is on the verge of tightening a little too much. 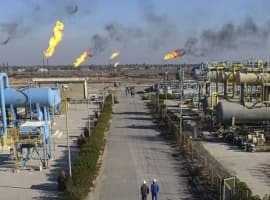 The prospect of outages in Iran has changed the equation because the losses, while not inevitable, would be decisive to an oil market that now has little margin for error. “Nobody knows exactly what will happen to Iranian exports, how much they will be, how much we are going to miss,” a Gulf source told Argus. “So Opec and non-Opec want to judge the situation to get a better picture of what is really going on. But if there is a need to relax compliance, they will.” Related: Is $70 Oil Enough For Shale Drillers? The proposal under consideration for the Vienna meeting would be to allow slightly higher levels of production. Because most of the participating nations are already producing close to their maximum, additional supply would have to come from a relatively short list of nations, namely, Saudi Arabia, Russia, the UAE and Kuwait. OPEC could still keep its production limits in place, but allow spare capacity nations to add supply back to the market, but only a little bit so the collective ceiling is not breached. As Argus points out, allowing for higher levels of production from Gulf countries at the expense of Iran and Venezuela could potentially undercut cohesion among the group. Already fierce regional rivals, Iran might perceive the “relaxing” of production limits as a way for Gulf nations to take its market share. OPEC’s influence is only as powerful as the group’s willingness to work together, so future coordination could be undermined if a decision in Vienna stokes animosity between some of the cartel’s top producers. Still, with oil passing $80 per barrel and pricing risk skewed to the upside, OPEC might be compelled to add more barrels back onto the market. I fully expect Saudi Arabia to announce a production increase of 400k bpd in June. The problem is the entire increase will go to burn for electricity generation. None will go for export. They won't disclose it is for electrical generation but they increase production for electricity every summer.